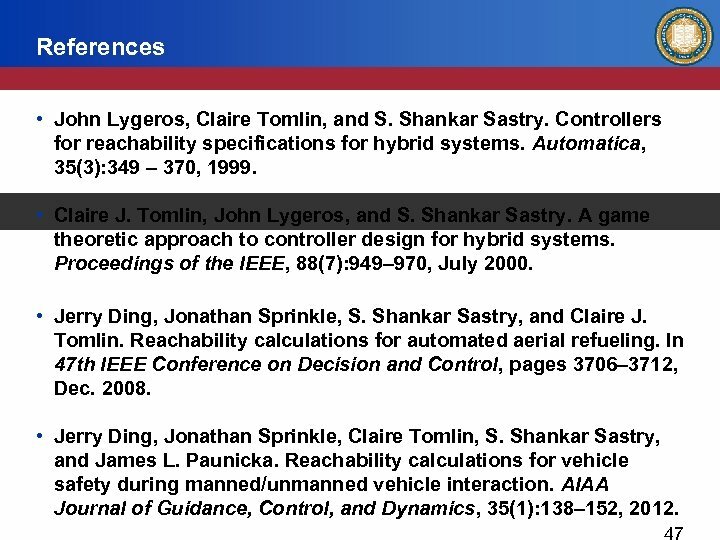 References • John Lygeros, Claire Tomlin, and S. Shankar Sastry. 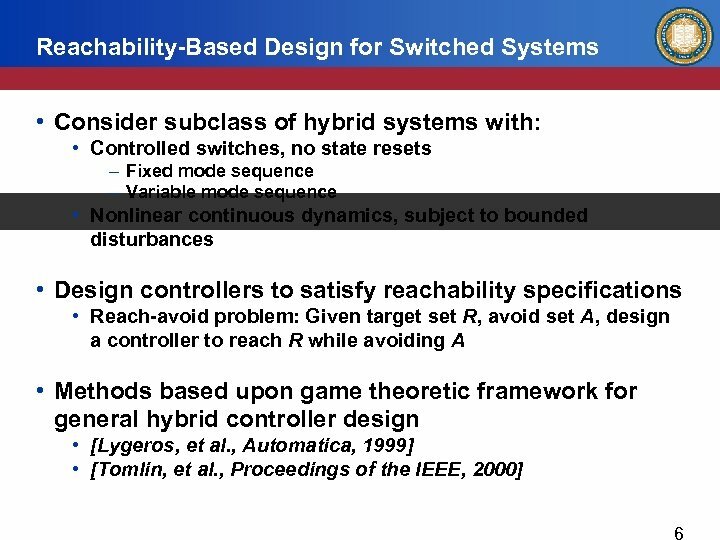 Controllers for reachability specifications for hybrid systems. 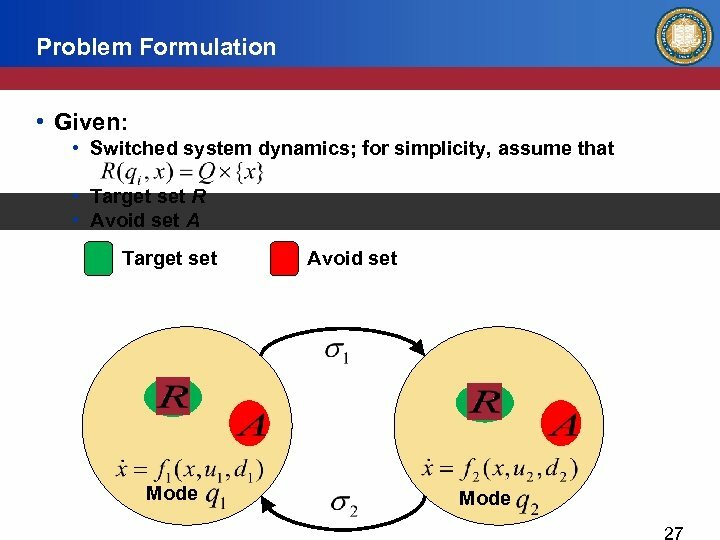 Automatica, 35(3): 349 – 370, 1999. 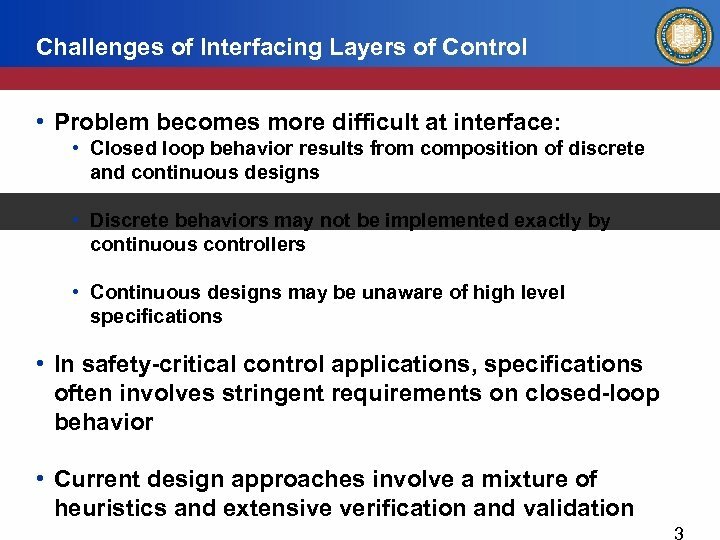 • Claire J. Tomlin, John Lygeros, and S. Shankar Sastry. 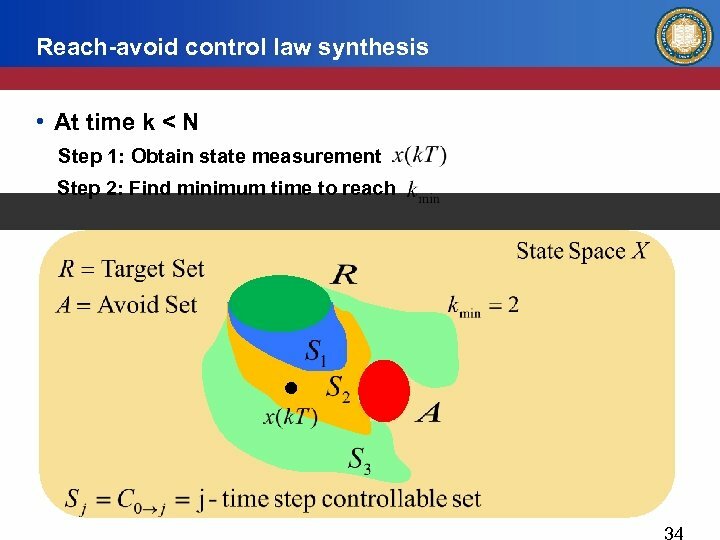 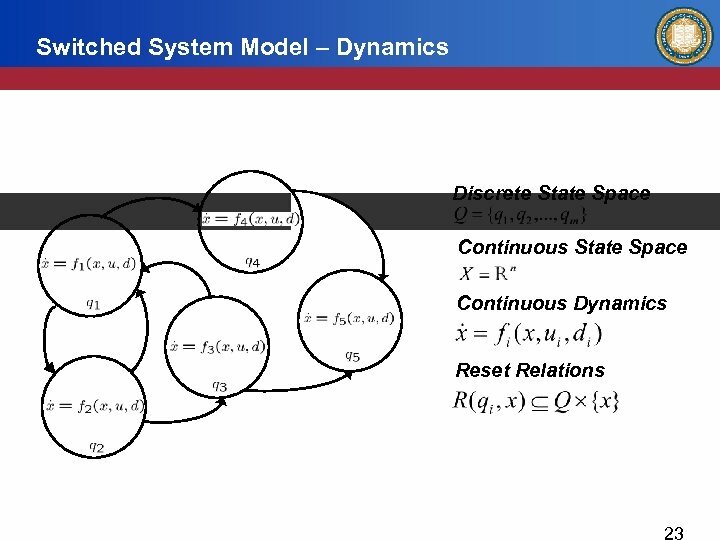 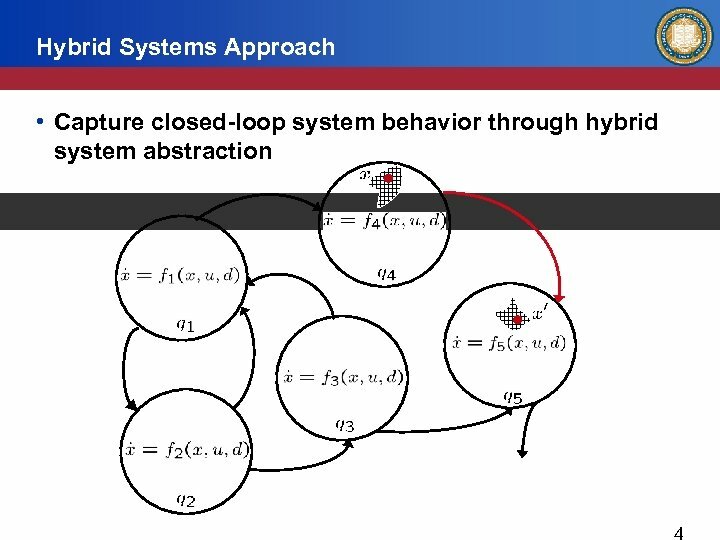 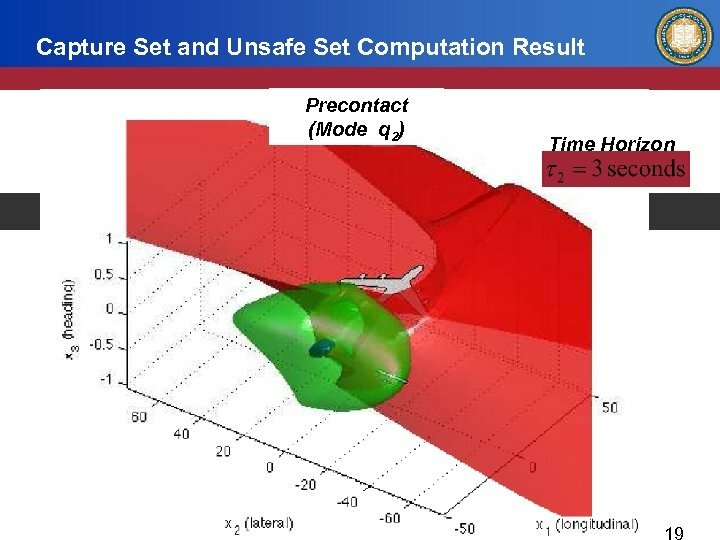 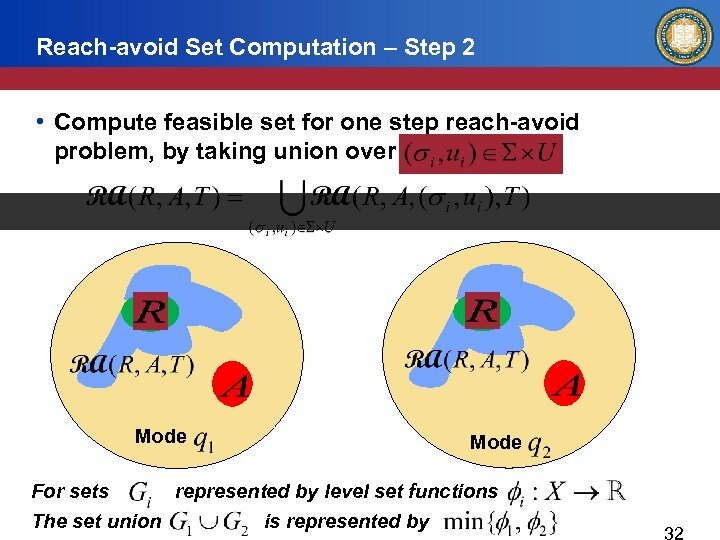 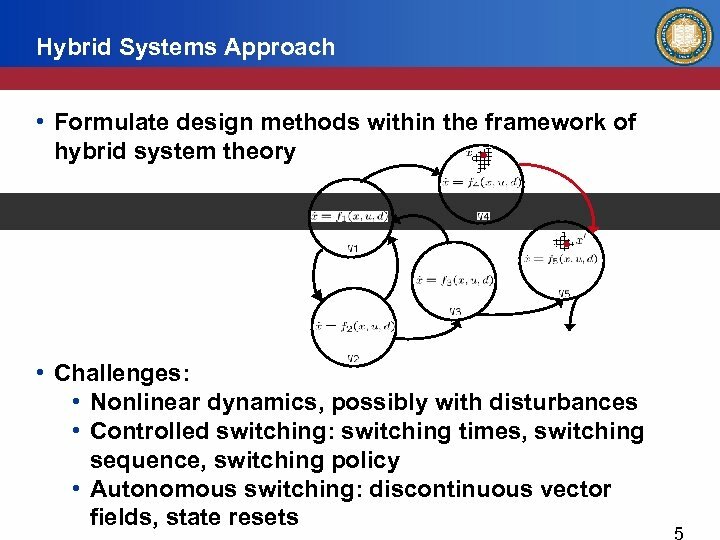 A game theoretic approach to controller design for hybrid systems. 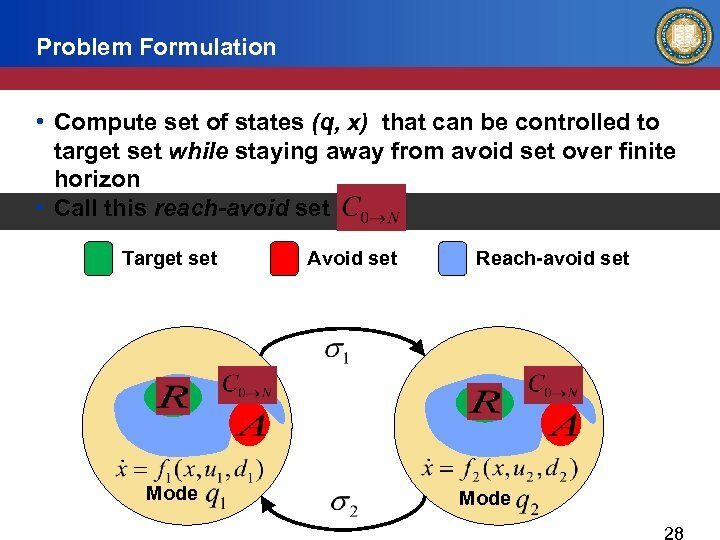 Proceedings of the IEEE, 88(7): 949– 970, July 2000. 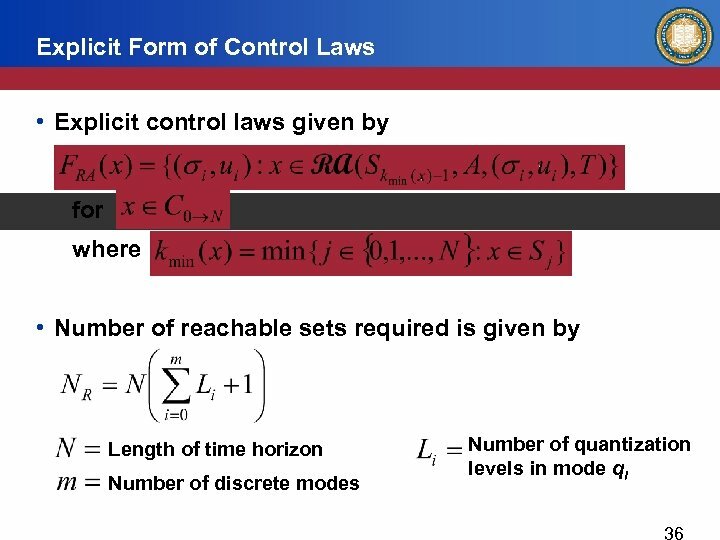 • Jerry Ding, Jonathan Sprinkle, S. Shankar Sastry, and Claire J. Tomlin. 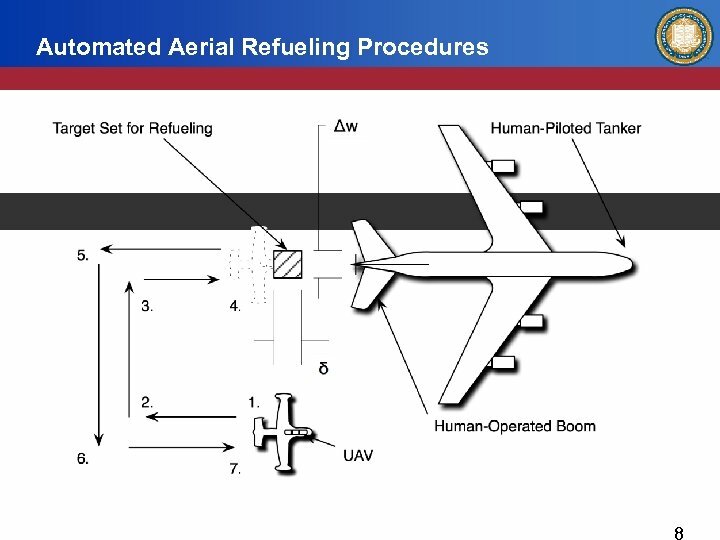 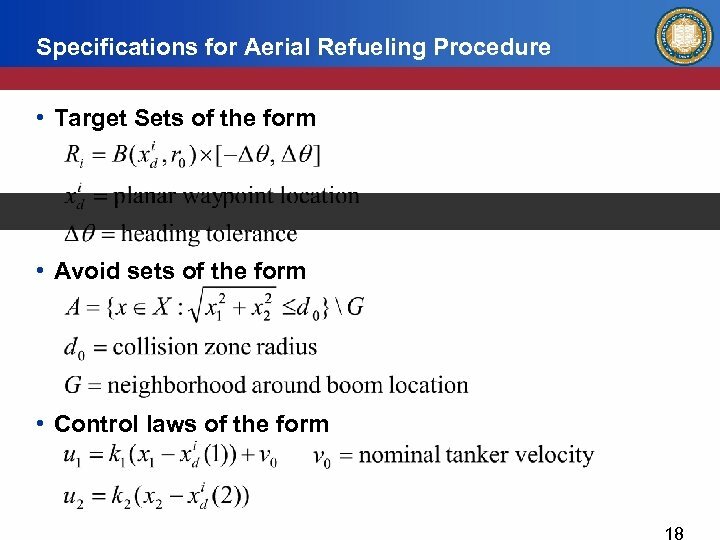 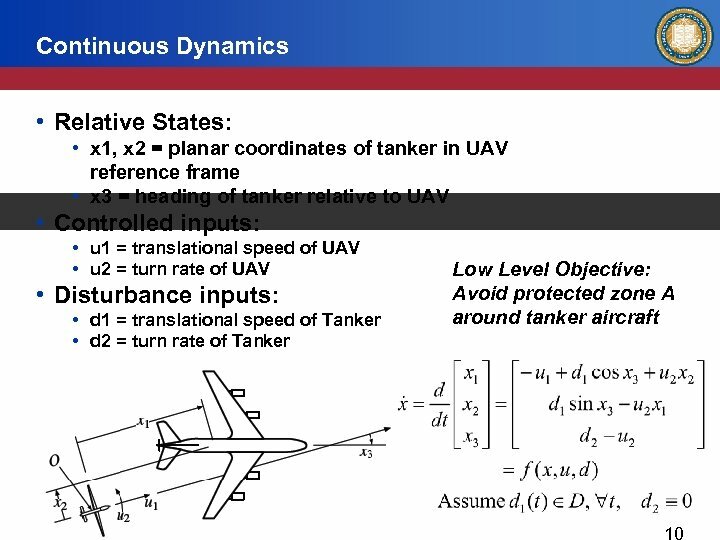 Reachability calculations for automated aerial refueling. 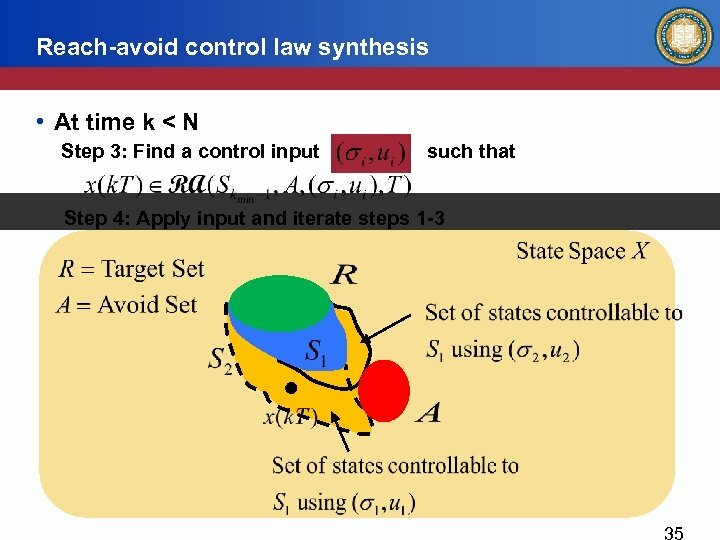 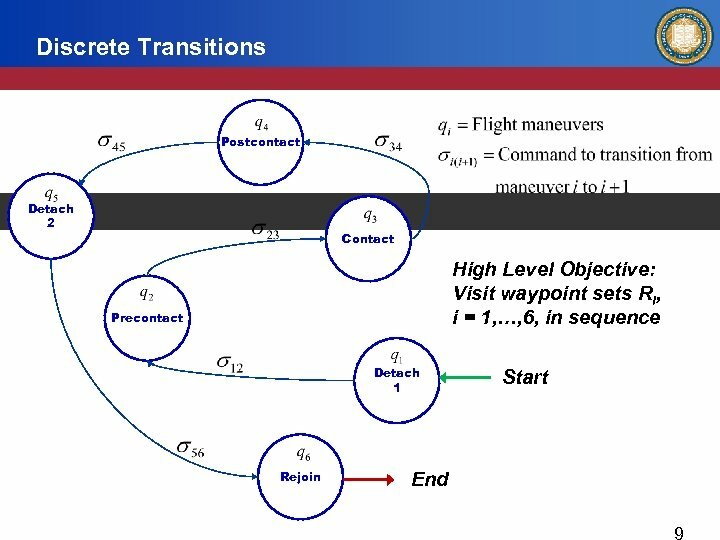 In 47 th IEEE Conference on Decision and Control, pages 3706– 3712, Dec. 2008. 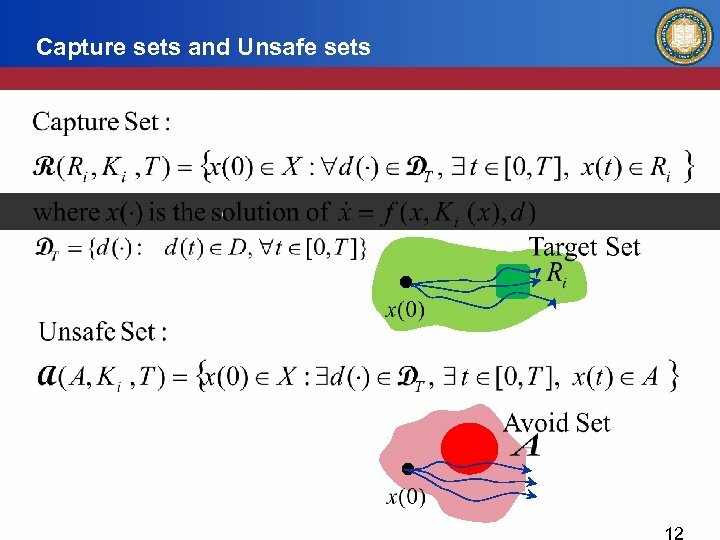 • Jerry Ding, Jonathan Sprinkle, Claire Tomlin, S. Shankar Sastry, and James L. Paunicka. 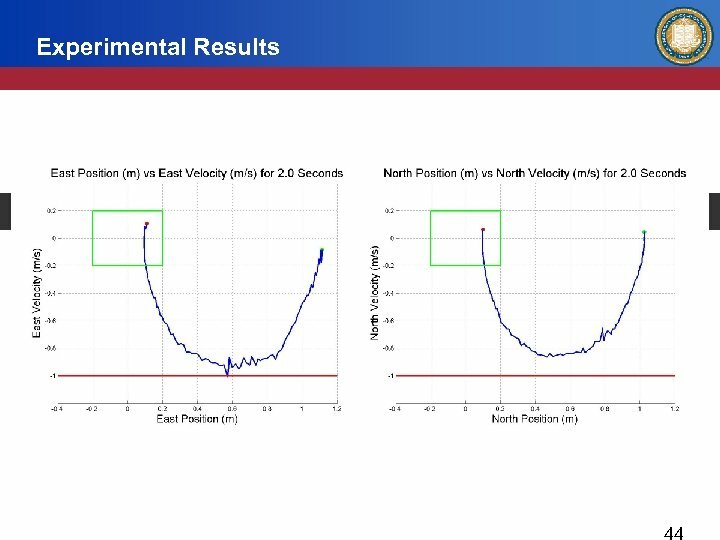 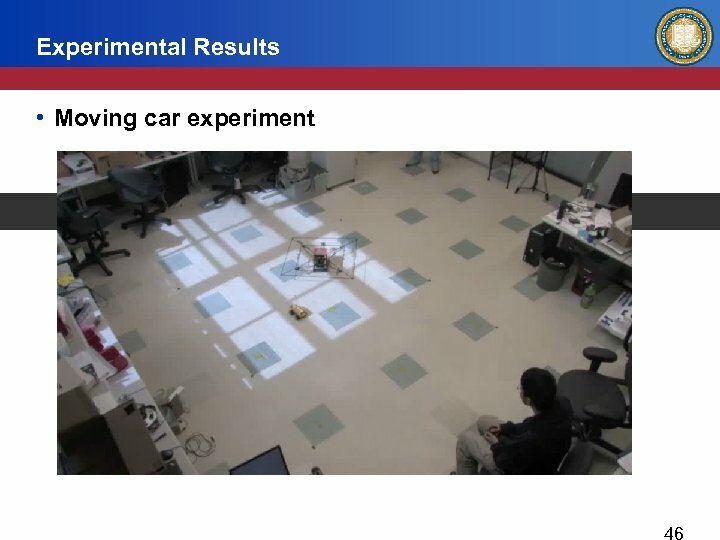 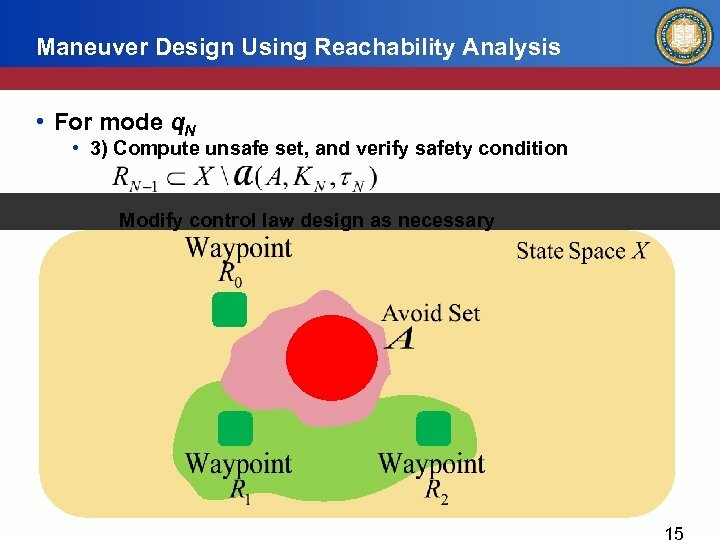 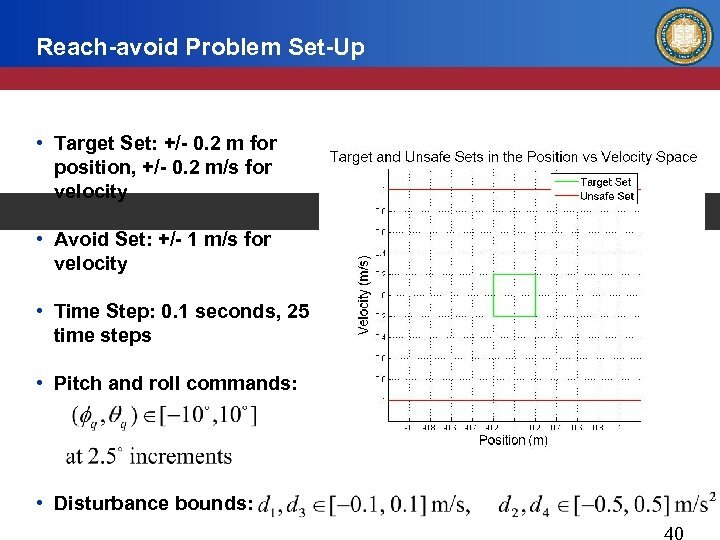 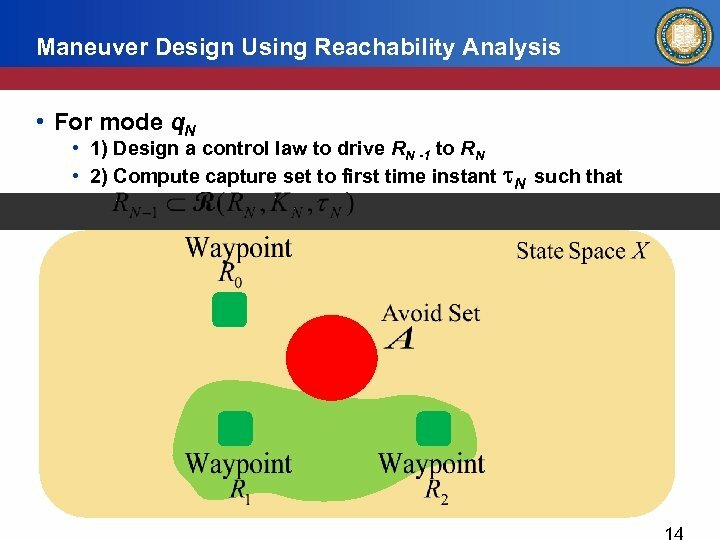 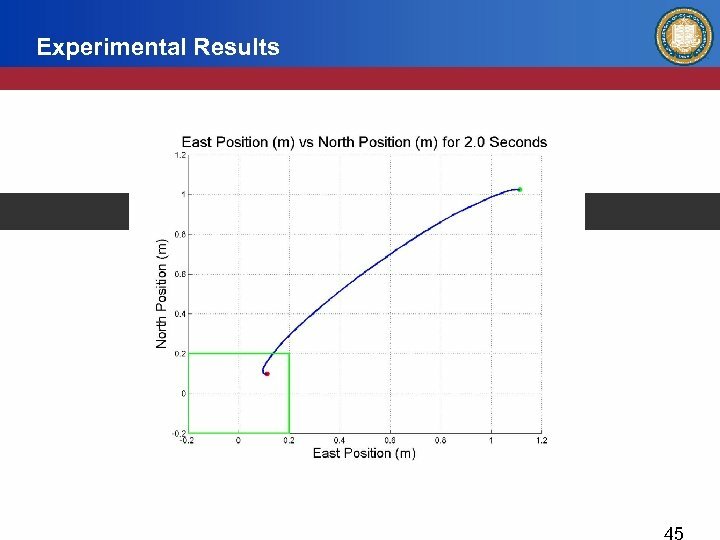 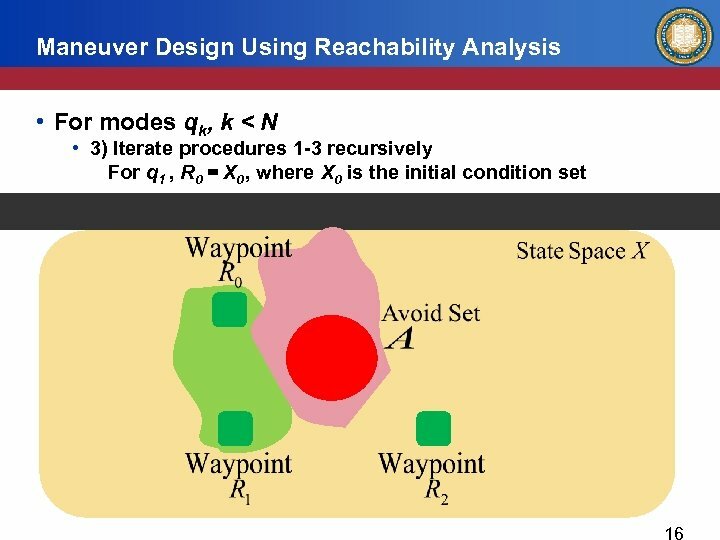 Reachability calculations for vehicle safety during manned/unmanned vehicle interaction. 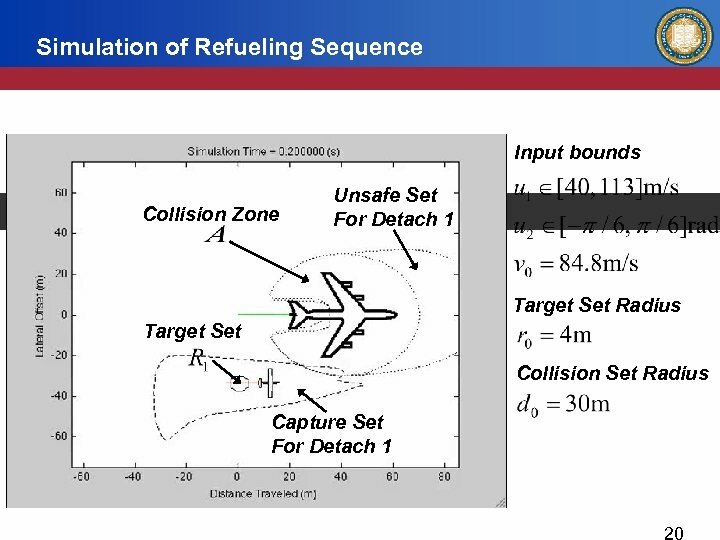 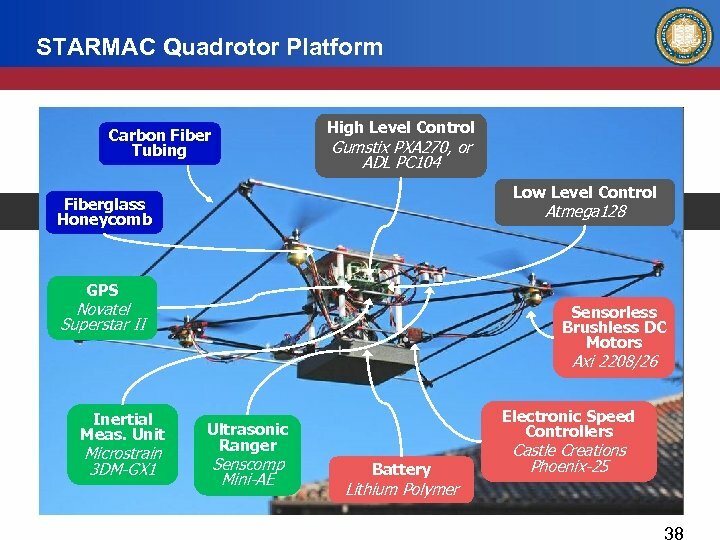 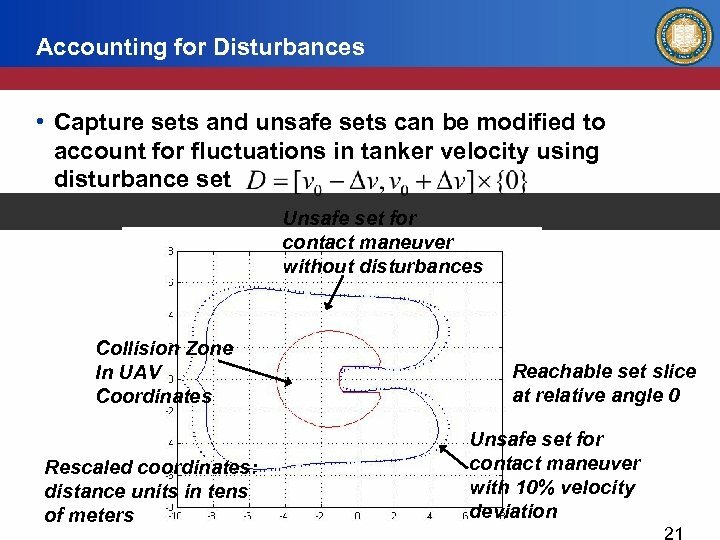 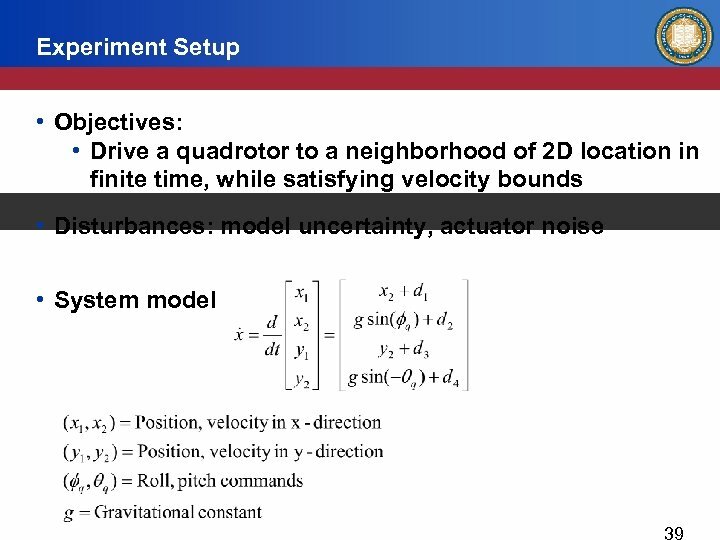 AIAA Journal of Guidance, Control, and Dynamics, 35(1): 138– 152, 2012. 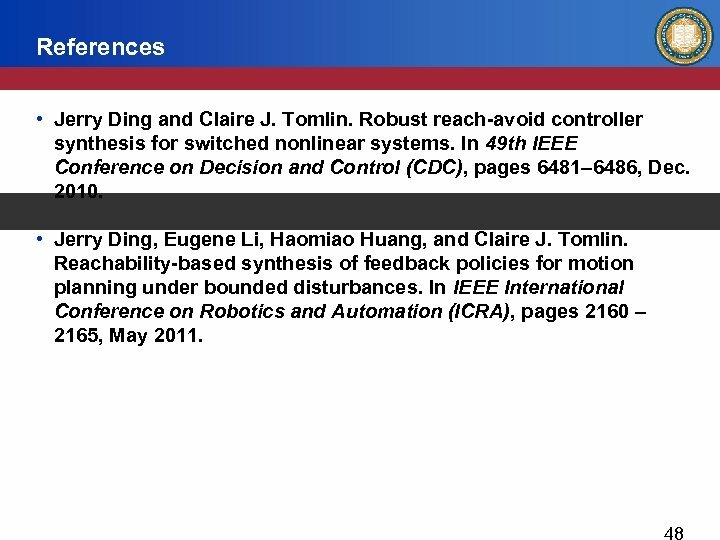 References • Jerry Ding and Claire J. Tomlin. 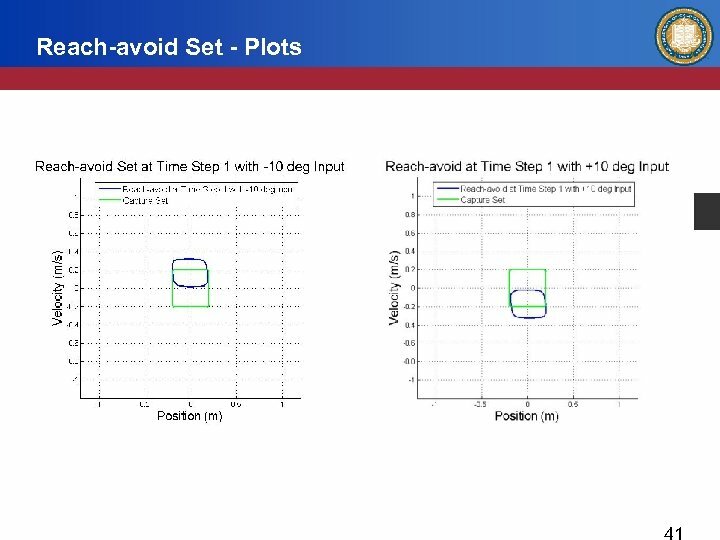 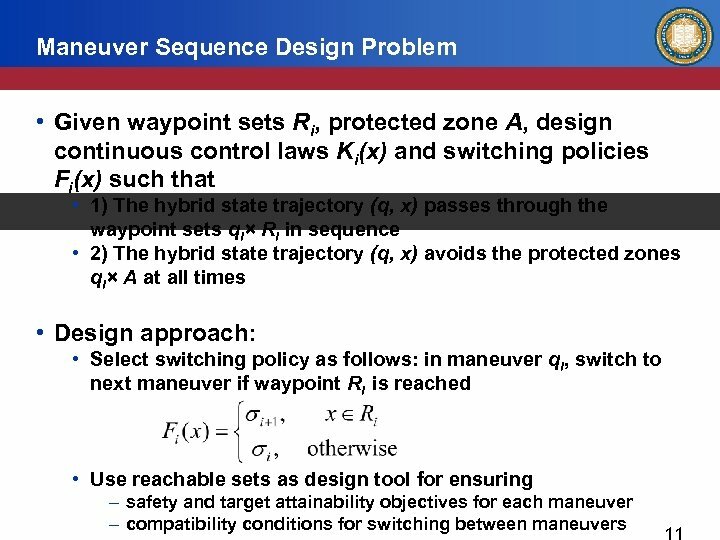 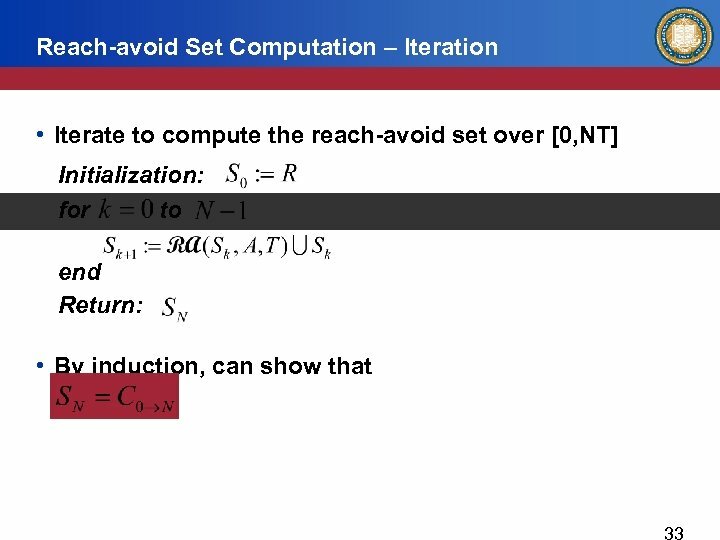 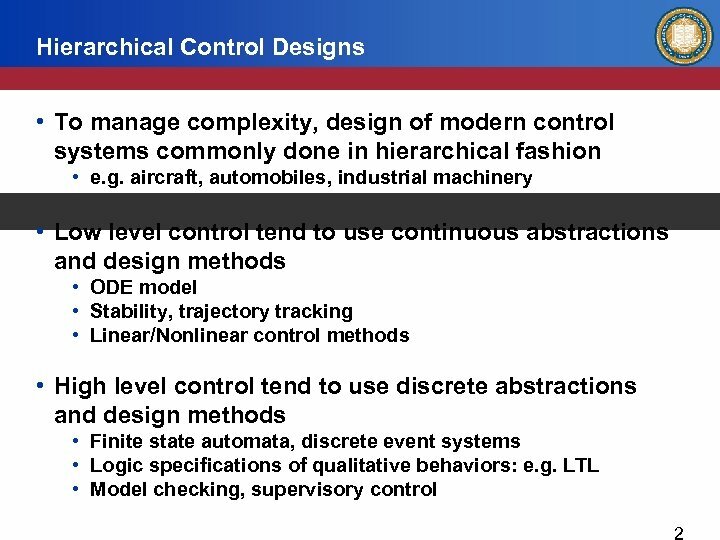 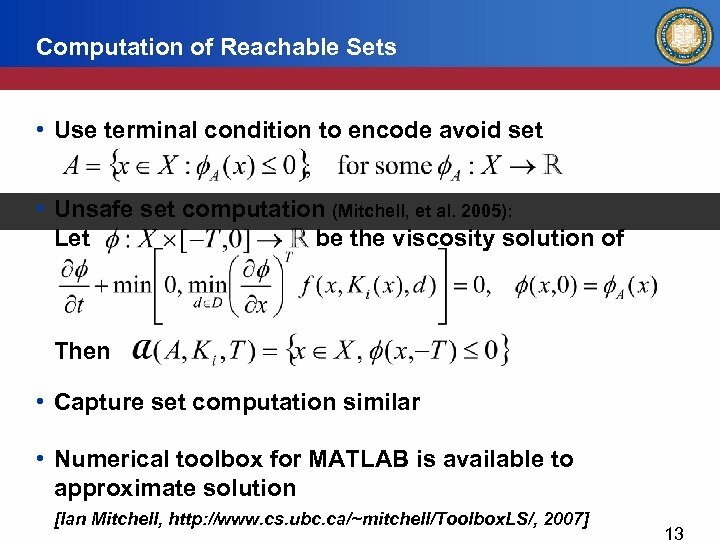 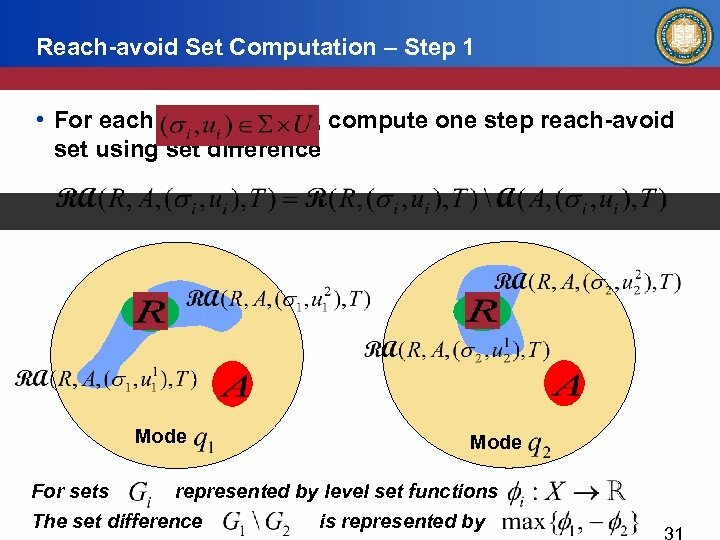 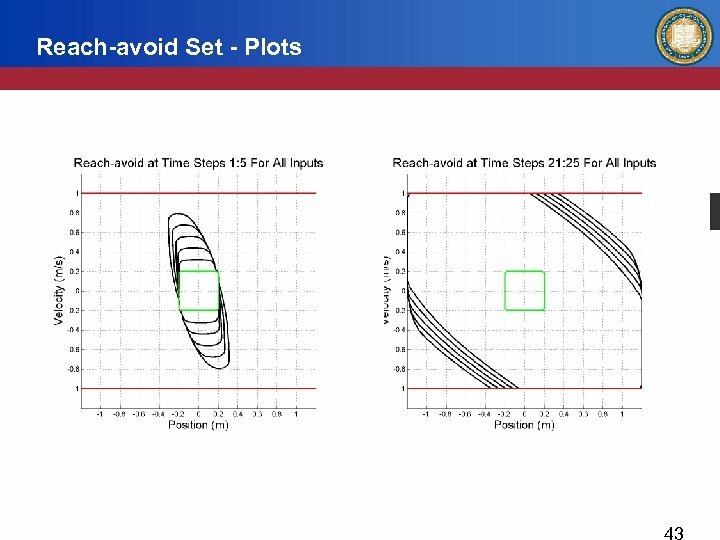 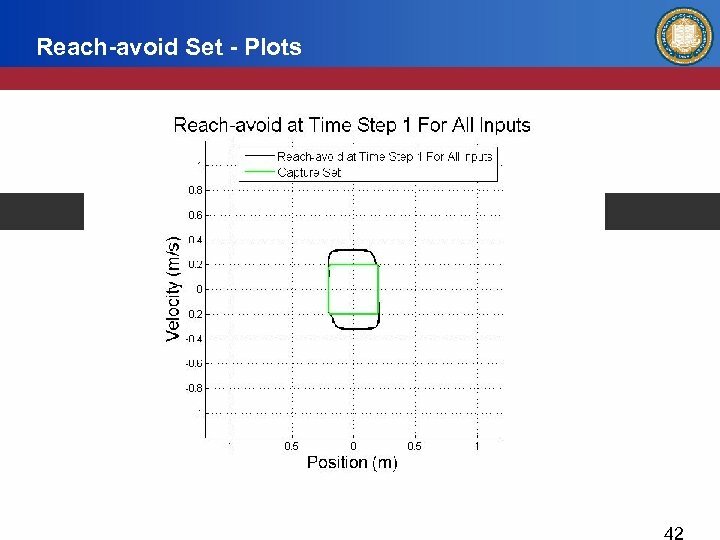 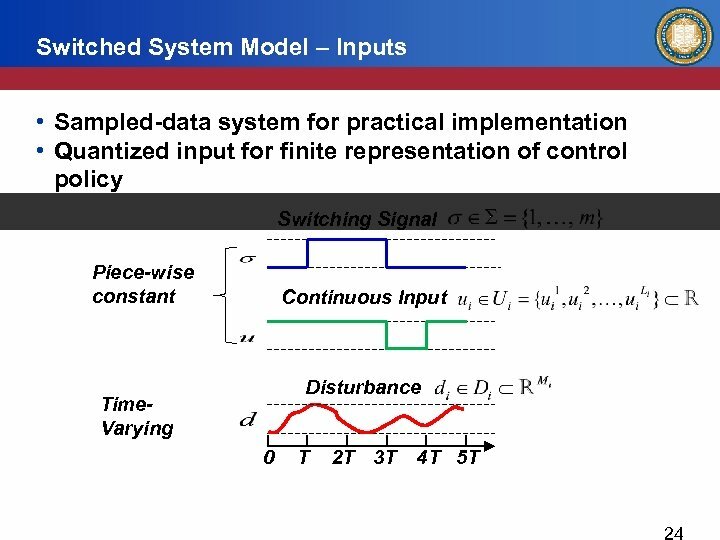 Robust reach-avoid controller synthesis for switched nonlinear systems. 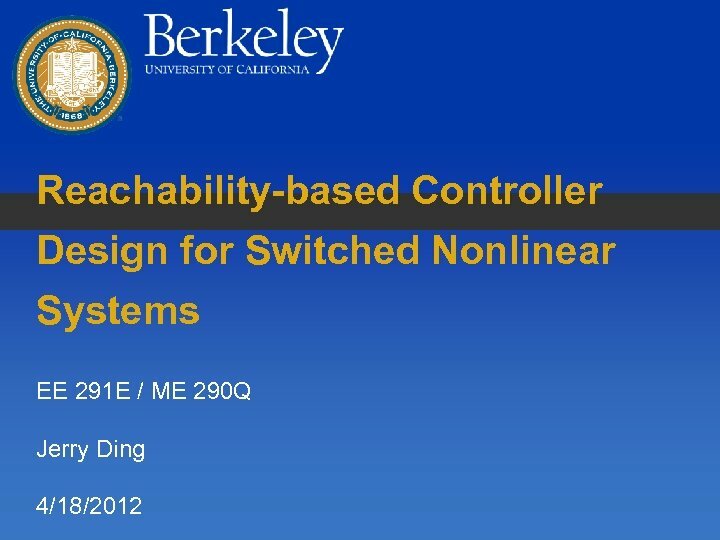 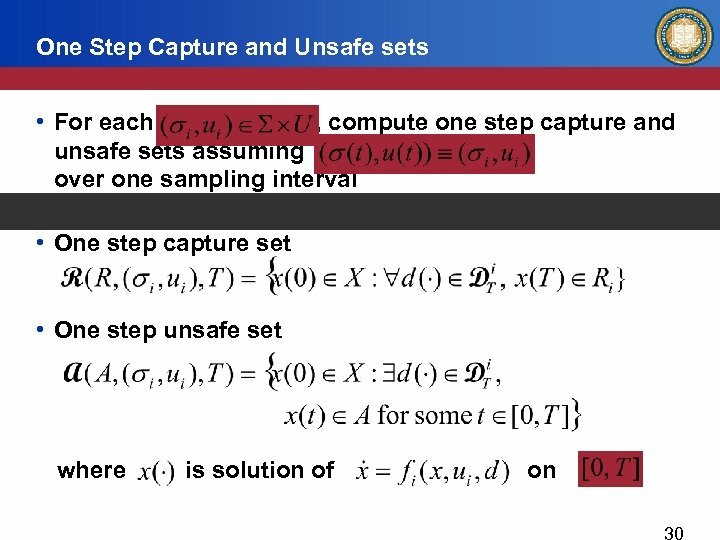 In 49 th IEEE Conference on Decision and Control (CDC), pages 6481– 6486, Dec. 2010. 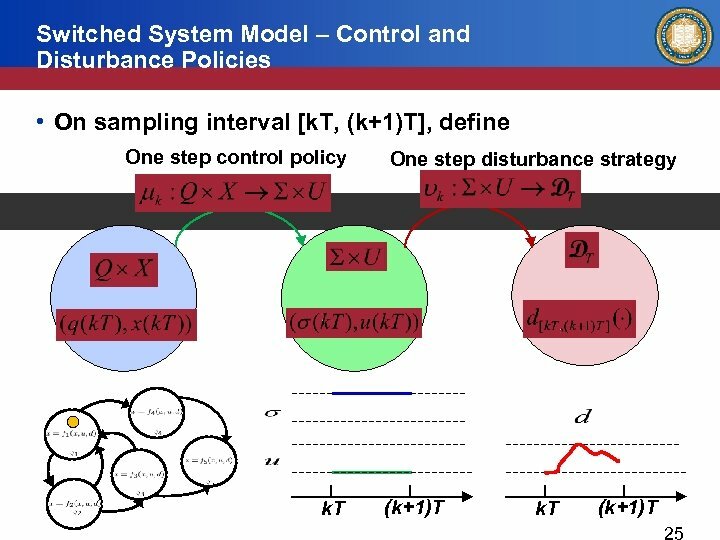 • Jerry Ding, Eugene Li, Haomiao Huang, and Claire J. Tomlin. 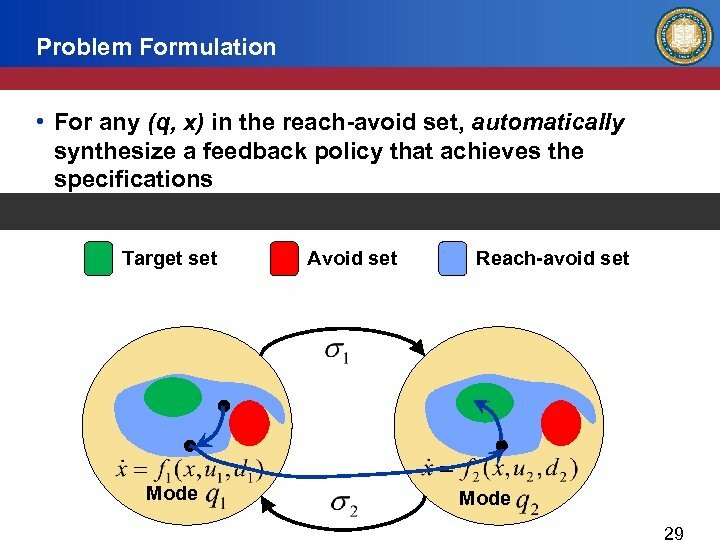 Reachability-based synthesis of feedback policies for motion planning under bounded disturbances. 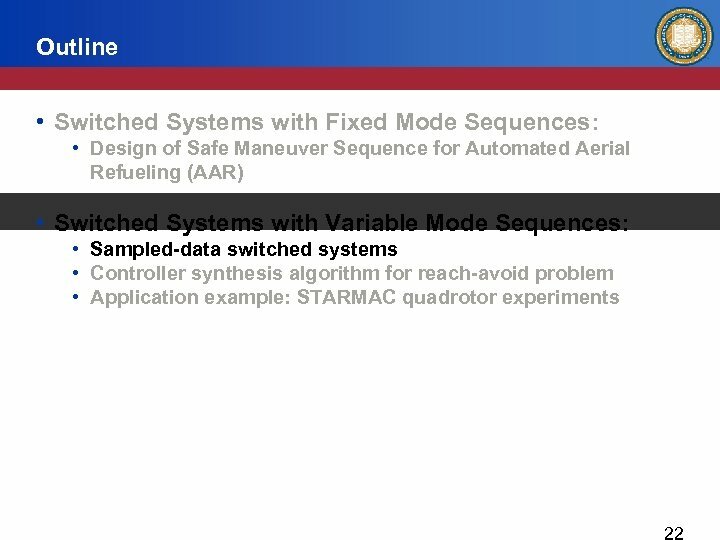 In IEEE International Conference on Robotics and Automation (ICRA), pages 2160 – 2165, May 2011. 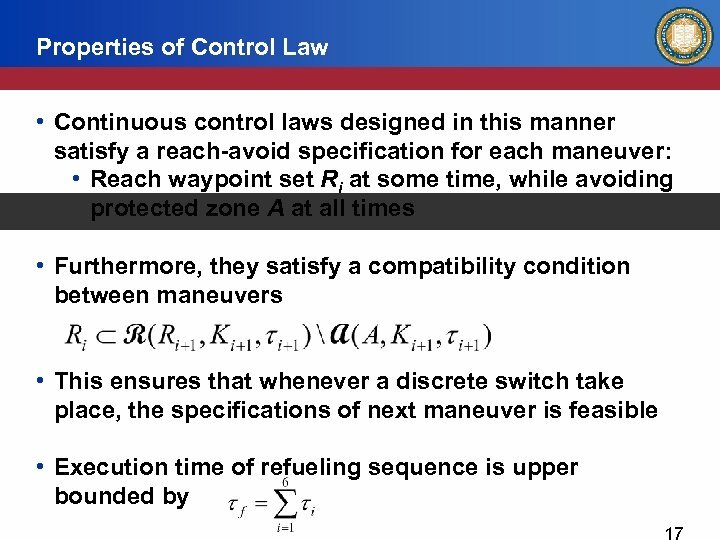 © 2007 Cisco Systems, Inc. All rights reserved.